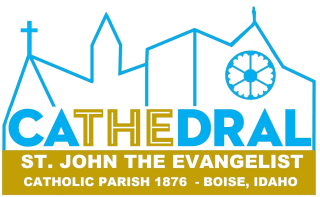 The St. John Cathedral Scholarship Endowment is offering to members of St. John's Cathedral six (6) $500.00 scholarships for the 2019-2020 academic year; these scholarships can be used for tuition at St. Joseph's School, Bishop Kelly High School, or any post-secondary education in an accredited college or university. The scholarships will be awarded on the basis of active membership in St John's Cathedral, academic achievement, and financial need. Scholarship applications can be found at www.boisecathedral.org; applications are due in the Cathedral Office by 4:00 p.m. on Monday, May 6, 2019. Three of the scholarships are financed by the Cathedral's Scholarship Endowment and three are made possible through a donation of a member of the Cathedral Parish.